Warning - copyright reserved by Feng Shui Bestbuy. 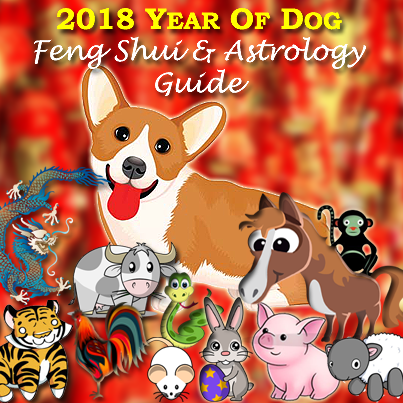 The following contents on the page are written and owned by Feng Shui Bestbuy. No direct or indirect copying without permission is allowed. Article was authored and originated by our Feng Shui Scholar. Chinese astrology places more emphasis on avoidance and being prepared to face possible obstacles annually. The annual predictions are not meant to cause worry to individuals, but instead to remind individuals to be more wary of what is expected for the year ahead and help individuals counter forecasted problems as well as to smoothen your paths ahead. Every year would be an excellent year for you if you know how to remedy your zodiac afflictions and maximize for good luck and prosperity. We have prepared for you a general outlook for each individual based on your zodiac, which is derived from your year of birth. Individuals will be recommended with feng shui solutions to counter the bad effects as well as to enhance or further strengthen your luck. In addition, we are also introducing to you our annual remedies specially formulated for each zodiac for the year. It is believed that all things in the universe belong to certain group of elements. These elements are categorized as Metal, Wood, Water, Fire and Earth. In the interpretation of Chinese Horoscopes, these elements has the function of attracting, repelling or blending with one another. There are also symbols that are positively linked to the animal zodiacs. When they are displayed correctly in appropriate locations of the house or office, they will produce positive force to neutralize evil forces and increase fortune. Applying auspicious ornaments and remedies is therefore being PROACTIVE and prepared to protect, resolve and enhance what is coming your way. Another school of thought that only ask you to beware, stay alert, observe, watch things happen and let things pass is considered REACTIVE and taking unwise risk. It is up to the individual's thinking pattern to weigh between being proactively reapings success every year or reactively let destiny decide for you randomly. This is the key differentiator between those who are successful and those who are not. For those who had achieved higher spiritual awareness at deeper levels, they would have understood that not only humans, animals and plants have souls. But inanimate objects, symbols and everything else have energy vortexes that are not visible to the naked eye. They possess vibrations of consciousness. If you love your objects, they will love you back. If you doubt, judge or hate them, they will respond with negative results. Therefore to enjoy the desired results, you ought to pulsate with good, happy and pure energy with all your feng shui items so that they can respond positively to your care and nurturing. How is the analysis done? 1. Position of the Grand Duke Jupiter (Tai Sui) and afflictions due to Flying Stars Feng Shui. 2. Interaction of compatibilities and incompatibilities together with allies and secret friend of various zodiac animals for the year. 3. Influences from annual visiting stars, deities and evils based on Purple Star Astrology. 4. Recommendations from the ancient Chinese Almanac. 5. Elemental influence of the year on the zodiac's pillar.